Rich Moy was appointed to the U.S. Section, International Joint Commission (IJC), by President Barack Obama, effective July 11, 2011. Prior to joining the IJC, Mr. Moy worked as a land and water consultant where he coordinated the development of a comprehensive transboundary Crown of the Continent regional land use and environmental strategy. He was also a Senior Fellow at the Center of Natural Resources and Environmental Policy at the University of Montana. For 27 years, Mr. Moy focused on collaborative, strategic and science-based approaches to water policy, management and planning, Native American water rights, and transboundary and regional water and land issues for the Montana Department of Natural Resources and Conservation. He worked extensively with other states and federal agencies on regional water management issues in the Missouri and Columbia River basins including water allocation, fisheries, water quality, operations and drought management. 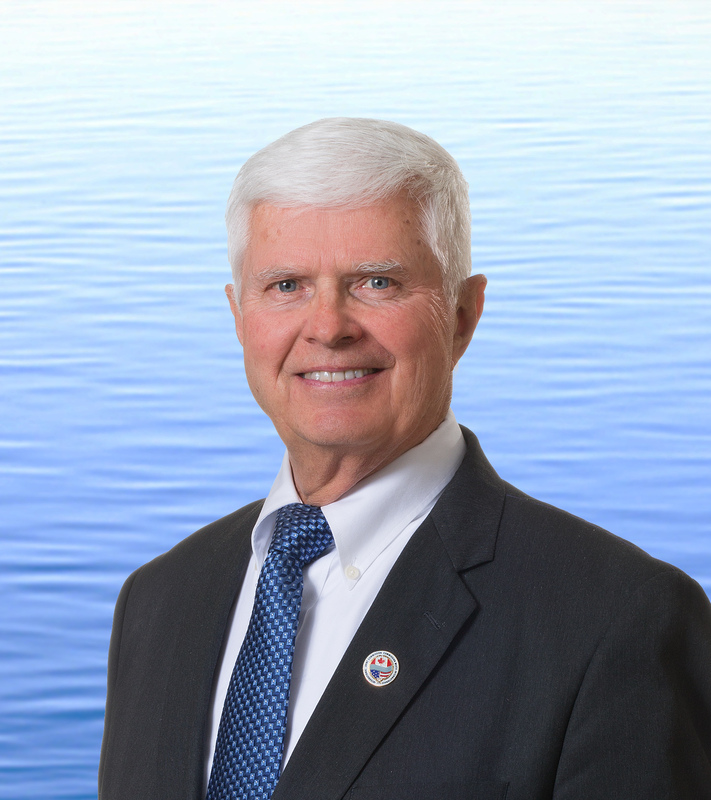 Recently, he served as chair of the 23-member Flathead Basin Commission, which has a statutory duty to protect water quality and the environment of the largest fresh water lake in the United States west of the Mississippi River. Prior to this work, he directed Montana's involvement in the High Plains Research Experiment for four years and worked as a park ranger and ecologist in Glacier National Park where he developed the park's backcountry management plan. Mr. Moy has worked with the Canadian provinces of British Columbia, Alberta and Saskatchewan, the Canadian federal government and the IJC on water quality, fishery, wildlife, apportionment and landscape issues for over 25 years. He served as the U.S. Secretary to the IJC study that evaluated the potential impacts of a proposed coal mine in the headwaters of the Flathead River. He represented Montana in several Canada-U.S. activities including the IJC task force on the apportionment of the St.Mary and Milk rivers, the Crown Managers Partnership whose members manage the Crown of the Continent transboundary region, and the apportionment of the Poplar River. He has negotiated two transboundary environmental accords on behalf of Montana with the provincial governments of British Columbia and Alberta. Mr. Moy was elected to four terms on Helena School boards and served on the Board of Directors for the Montana Science Institute. He was on the Montana Water Course Advisory Committee and the Water Research Center Advisory Council. He received EPA's Environmental Achievement Award for work on Flathead Lake and its headwaters in 2006 and the Flathead Lakers' Stewardship Award for work on Flathead Lake in 2009. Mr. Moy received B.A. and M.A. degrees from the University of Montana and nearly completed a Ph.D. in animal ecologyfrom the University of Missouri-Columbia. He and his wife, Gigi have three grown children. Mr. Moy enjoys carpentry, traveling, skiing, hiking and fly fishing.